40th BCS Preliminary Seat Plan 2019 published Soon. 40th BCS Preliminary exam will be held on 03 May 2019. 40th BCS Preliminary Gazette published download. According to the source, a total of 1,903 candidates will be recruited through 40th BCS. 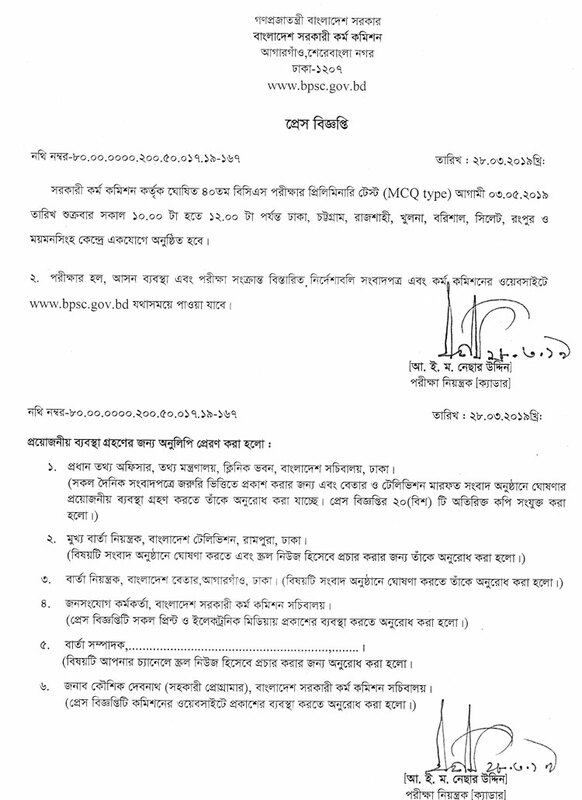 Public Service Commission (PSC) will recruit various posts in different cadres. 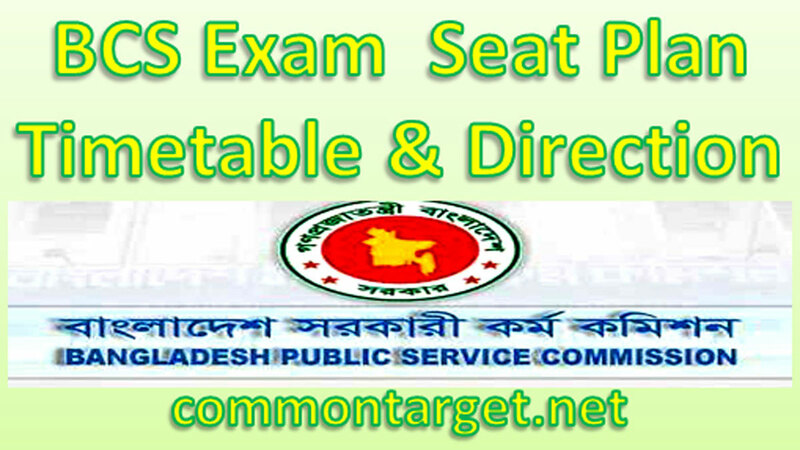 The detailed direction of 40th BCS Preliminary Test Examination 2019 has published in the Newspapers and the website of the Commission (www.bpsc.gov.bd) and this site (commontarget.net) in due time. Finally you may see a page like this. 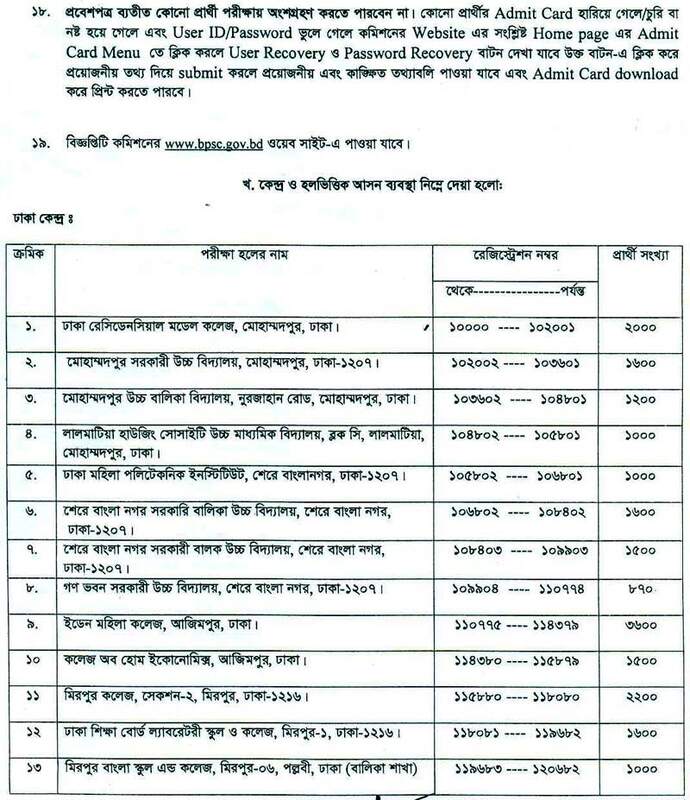 Download 40th BCS Preliminary Seat Plan & Admit Card from here. 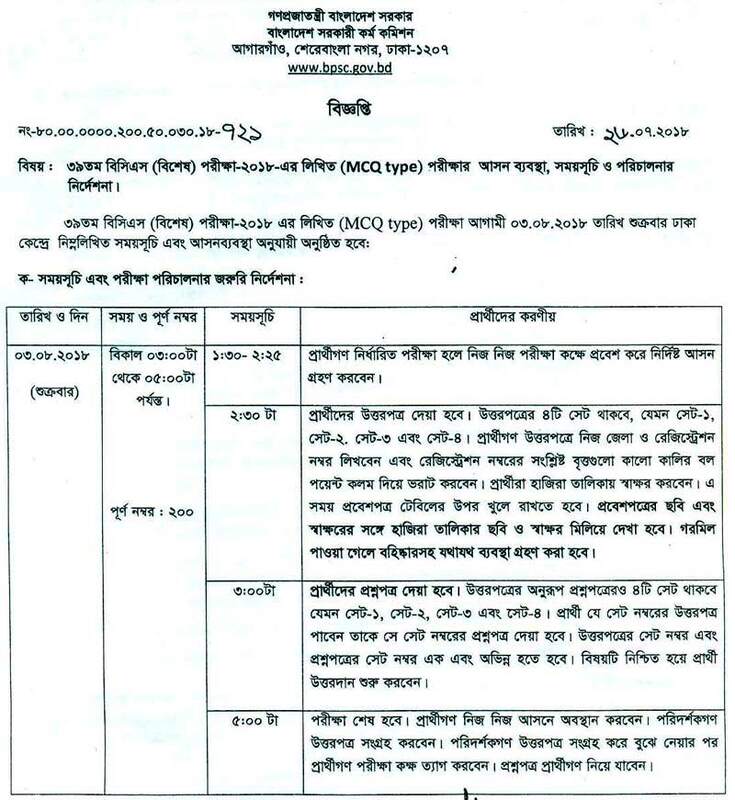 40th BCS Preliminary circular had been published. 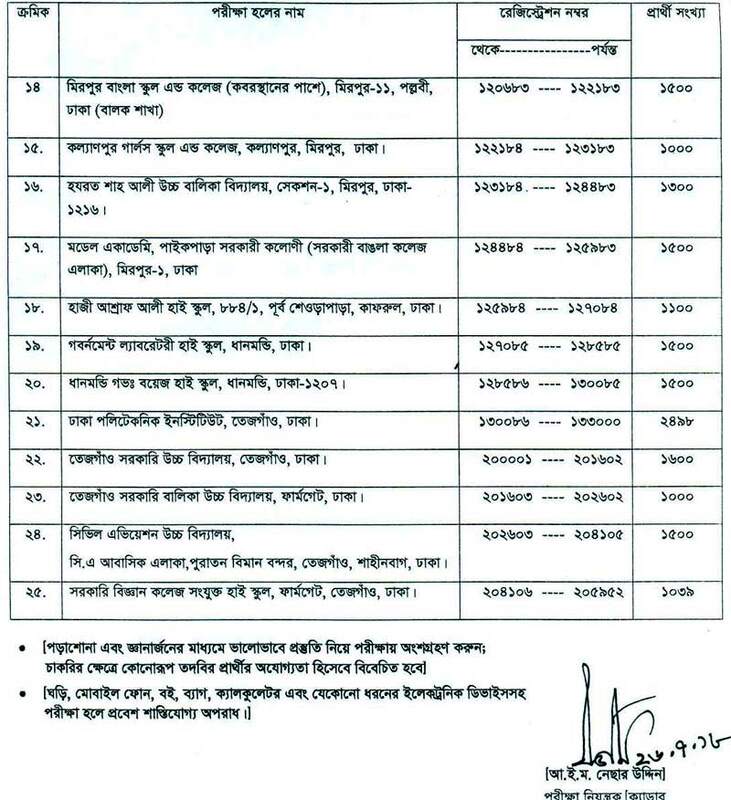 40th BCS Preliminary Test Examination 2018 will be held on 03 May 2019 through Dhaka, Chittagong, Rajshahi, Khulna, Barisal, Sylhet, Rangpur and Mymensingh exam centers. Time of 40th BCS Preliminary Test Examination 2019 will be held at 10:00 A.M. to 12:00 P.M. Total time allocation will be Two Hours i.e. One Hundred Twenty Minutes (120 Minutes).